The 5-Step Render Workflow® is an educational format which allows teachers and users to structure their work with V-Ray in 5 precise steps. The method, devised by Ciro Sannino, has been developed and shared with instructors from different backgrounds scattered in various parts of the world. 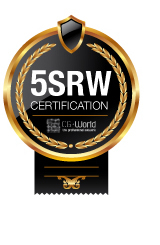 The 5SRW certification will certify that a student has strong photography and V-Ray knowledge and is able to apply the 5 steps method. 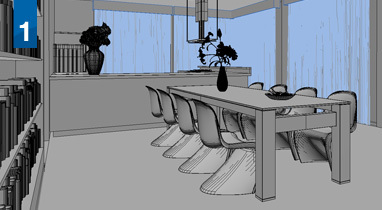 In order to obtain this certification the user must demonstrate knowledge of the standards of the 5srw process for the production of a photorealistic rendering. The 5SRW exam is divided into two phases: a first phase in which the candidate must answer multiple-choice questions, and a practical second phase in which the candidate will receive scenes to develop using the 5SRW process. The schematic and academic approach is perfect to be taught in universities.